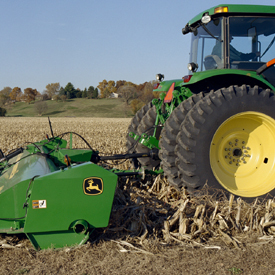 The 100 Series Flail Shredder is available with a drawn tractor hookup. 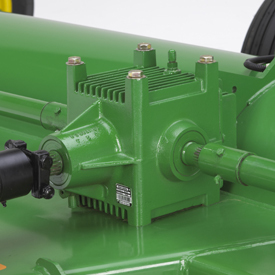 Gearbox has a constant-duty rating of 150 hp and a maximum rating of 225 hp. 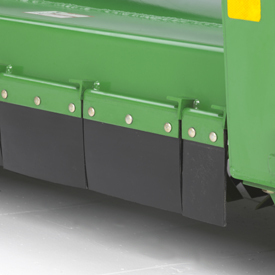 Deflectors can be used on the front of the shredder to prevent cut material from being thrown forward. Rubber deflectors are recommended when shredding in rocky areas. Additional gauge wheels can be ordered, if needed, for improved cutting performance. 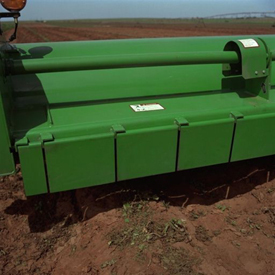 The center divider minimizes the center strip of uncut material when clipping grass, idle acres, or non-row-crop crops. NOTE: Previous machines did not have center-cut knives. To install, order them from Parts.